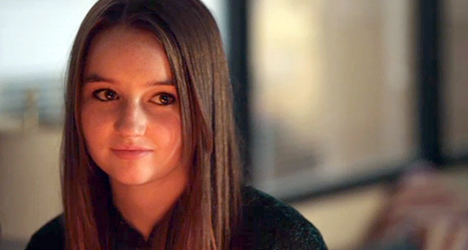 Actress Kaitlyn Dever plays Jayden, a trouble teenager who is placed in a foster care facility in "Short Term 12." She may not have fully understood what it meant to be an actress when she was only five years old, but Kaitlyn Dever somehow instinctively knew it was what she wanted to do for the rest of her life. 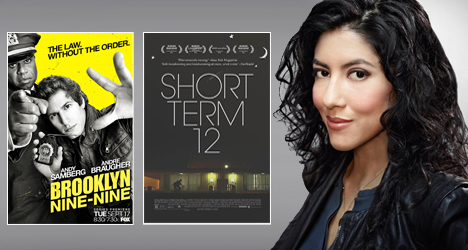 Born in Phoenix in 1996, Dever moved to Dallas and later to Los Angeles to pursue her career on screen. Since the move to L.A. in 2007, Dever has starred on such TV show as “Justified” and “Last Man Standing.” She also worked with Oscar-winning director Clint Eastwood on the biopic “J. Edgar.” In the 2013 film “Short Term 12,” Dever, 17, plays Jayden, a troubled teenager living in a group home who confides in one of the staff members about her family problems. 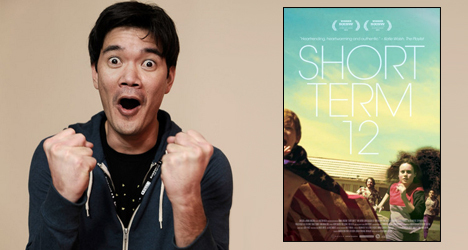 “Short Term 12” was released on Blu-ray and DVD Jan. 14. I read ever since you were little you had the idea of being an actress. Where did that idea come from? Did you see something on TV or at the movies that influenced your decision at such a young age? I was so little, so I don’t know what I was thinking. That was one of the things my parents tell me that I used to say to them. I would tell them I wanted to go to acting classes and ask if I could get an agent. I think it was from watching TV and wanting to be inside the TV and on screen. I was always performing something with my little sister. I just had so much energy. One day after asking them so many times, I went up to them really upset and said, “You guys aren’t doing anything for my dreams! I’m calling an agent right now!” Of course, I didn’t call an agent. I had no idea what I was talking about. But I think my parents realized maybe I was serious about it. My parents had put me in gymnastics and soccer and ballet and I didn’t want to do any of it. It wasn’t until I was about nine when I started taking acting classes. The first acting class I took I came home and I was so excited and told my parents it was the best day of my life. So, at nine you started acting, but at what point did you realize this was something you could actually make a living doing? Well, I came out to L.A. because there was this agent who saw me at the acting studio I was at in Dallas and was looking for a bunch of kids for a showcase. The agent came up to my parents and said she wanted to sign me and wanted me for [TV] pilot season. My parents decided they would take me out to L.A. for a month and when I saw how hard it would be to get into the business they would bring me home and that would be the end of it. But I ended up booking the very first audition I went out for. Yeah, I was like, “See, it wasn’t that hard!” I mean, it is a very tough business, don’t get me wrong. I’m not sure when I realized I could make acting a living. I just wanted to do it because I loved performing. I loved being someone that I’m not. I was 11 when I did my first movie and I continued to do more and more work after that. I don’t picture myself doing anything else. Yeah, it is hard. I’ve been very lucky with the success I have had. But I do think this business is very hard. It’s worth it in the long run though. But you haven’t come out of an audition in tears because things didn’t work out, have you? You know, that’s never happened to me before, I have to say. I’m not saying that it will ever happen in your career, but how do you think you’d handle someone saying no? I don’t really think about that stuff when I go in for an audition. I’m just thinking about how I can make this character the best I can. I think there’s always going to be some nos, but I think there’s going to be some yeses. I think I’m going to look forward to those yeses. You said you’ve been very lucky, but you have to realize how talented you are as well. I mean, there are countless young women who want the same thing you do, but such a small percentage actually make it. What do you tell a girl your age who wants to move out to L.A. like you did and make it in this industry? I tell them to do it. I feel like if they don’t at least try, there won’t be any outcome at all. I feel if you love something as much as I love acting, you should try your hardest. If you love what you do and have a dream, you should go for it. What did you see in Jayden as a character that made you want to go out for the role? When I first read the script I immediately knew Jayden was a character I had never played before. She had all this stuff going on internally that she had to tackle. I knew that was something I wanted to take on. I knew it was going to be a challenge. Playing this character and being in this film was just an unbelievable experience. I knew the film was going to do great things after I read the script. 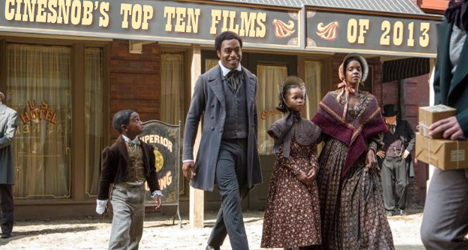 Overall, I’m just very happy for the film. What was going on in your mind when you read the octopus story in the script for the first time? My first word after I read it was, “Whoa!” It took me a second to think about it and realize that it starts off as a children’s story and then turns into this very sad story. When I auditioned for the role, I had two scenes to read. When they called me back they added an additional scene. It was the night before my audition and they sent me the extra scene and it was [the octopus] scene. I always go into an audition with everything completely memorized. I just want to know the character. I wanted the [octopus] story to seem real and reading it is something different than having it memorized. So, I memorized it that night. I did write the whole scene down on paper and put it in my pocket for the audition. [Director] Destin [Cretton] told me I didn’t have to have it memorized, but when I told him I did he was like, “Oh, OK!” That is one of my favorite scenes in the film. What kind of mindset do you have to be in to pull the emotion you need to create your character? I mean, I know a lot of it is what you can do as an actress, but do you have to do anything specific to tap into that register? I’ve worked with a lot of actors and actresses who have a lot of different ways to prepare for roles. I just like to be myself when I’m on set. Ten minutes before the scene I start imagining what’s happened to my character before this and what’s going through her head. It was actually easy to do that for Jayden’s character because she has so much going on and so many awful things happening in her life. It was easy for her story to make you feel angry and upset and frustrated. I’m guessing you used those feelings to set up for the scene where you have a meltdown in your room, right? Yeah, for the “freak out” scene in the movie, I felt I needed to be myself. I didn’t want to get too depressed because I would’ve been worn out by the end of the day. When the scene cut I would get happy and giddy and people were wondering why I was doing that since the scene is so serious. But I would get right back into in when it was time to shoot the scene again. So, how many cupcakes did you actually have to smash into Brie Larson’s face during those takes? Oh, I think it was about two cupcakes. Oh, you got that part down pretty quick then. Yeah, it seems like it would’ve been more, but the way that scene works we had to plan it out. There was a lot of aiming going on. I had to aim the cupcake at Brie’s face. I had to aim when I spit on [actor] Rami’s [Malek] face, which was more of a big deal than putting the cupcake in Brie’s face. Spitting in his face was a really embarrassing moment for me because we had been shooting Brie and John’s [Gallagher Jr.’s] scenes before they got to me and Rami, so I had been spitting in his face over and over and over and over again. Destin came up to me and asked, “Hey Kaitlyn, have you been spitting on Rami’s face the whole time?” I was like, “Yeah, the whole time. What’s up?” He was like, “Well, the camera is not really on you guys, so you really don’t need to be spitting on his face right now.” I was completely in the moment. I felt so bad for Rami. It was so gross. I was so embarrassed.